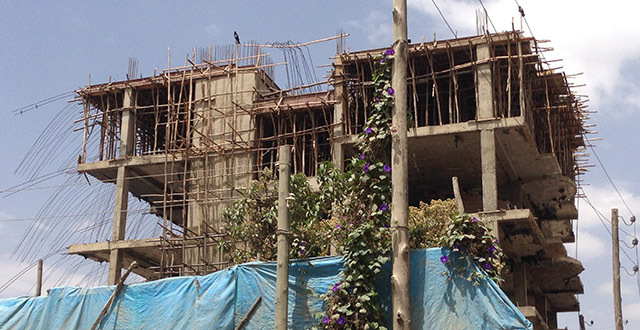 As a developing country you cannot expect everything to be working and perfect in Ethiopia. There are always things that you’re going to complain about when living in Addis Ababa. But as soon as you wrap your mind around the fact that it is not going to be so smooth living in Ethiopia or any other developing country in fact, the less you will complain. It is okay to complain but if you do it too much you might offend your host. It is always better to travel with the right expectations and the following list might help prepare you a bit for those little annoyances that will op up during your time in Addis. One of the most frustrating things to happen to you in Addis is not being able to make a call or recharge your account during high traffic hours on the network. This usually happens on holidays, Sundays and when Ethio Telecom is trying to ‘upgrade’ something. Ethio Telecom is a government owned and the only telecom company in Ethiopia – this should explain the often terrible service. Add into that a usually terrible customer service experience in their usually crowded offices and they’re unlikely to be your favourite Ethiopian company. If you are a foreigner, you are to gong to attract more beggars on the street than would your average Ethiopian. It can get really annoying to have them following you after you have already made it clear that you have no change or that you just don’t want to give them any money. And it gets annoying when it is kids that follow you while their condoning/ordering mother sits and watches them follow you till they get what they want. Some avoid these by walking faster, keeping small changes in their pocket to give away or using Amharic words like ‘yelem’ which basically means ‘there isn’t any’ but used in this case to say that you have no change. The taxis in Addis are not meter taxis, meaning you will always have to negotiate your price. And if you are a foreigner the taxis are likely to charge you more than they’d charge a fellow Ethiopian. But this totally depends on the person, as some just want to pay what they are asked and some will put up a good fight to save a few bucks. If some of the taxis didn’t start their prices so crazy high, it wouldn’t be so annoying but having a guy ask for 300 birr before promptly being bargained down to 150 makes a person cagey and frustrated ad determined to get a good price. I suppose it’s all in the name of progress, but progress can be a pain in the arse when it comes to traffic or even just trying to walk down the street. Many of Addis’ sidewalks are no more, instead being replaced by piles of small rocks that make it really hard to walk. Add large holes and workmen into the mix and a trip down the road can be a treacherous experience. Being a landlocked country definitely has its cons. It is not going to be easy to find nice seafood in Addis. Despite not being that far from the coast, I’ve come to realise that the rare seafood I do find has, without a doubt, been frozen and shipped for days or weeks before ending up on your plate. Whichever nice neighborhood you are driving through, you better be keeping an eye on the road because there are going to be ditches and potholes everywhere. If you dare venture out of town on four wheels, you will inevitably one day come across a hole that is just a little larger than a typical small Japanese car. Power and water outages occur in Addis from time to time and these outages will depend on the areas you live in. While some of the neighborhoods have no water almost half of the time, some might not have a good supply for months. Therefore it’s is quite essential to buy a water tanker and have it installed or just rent a house which has one in the first place. Likewise, power in Addis can be sporadic and untrustworthy at best. It’s not unusual for the power to be off for days at a time, which will make it difficult to keep all of your electronic goodies charged up. Plan ahead by taking your gadgets to work with you, planning lunches and dinners at places where you can sneak in some charging, and by keeping candles and flashlights on hand for when you’re at home in the dark. If the house you live in is near a church or a mosque, you are going to have that problem of waking up at 4 or 5 in the morning if you are a light sleeper. It is around that time that they usually do their prayers and they are going to do it through mega horns and loud speakers My landlord was very happy to tell me that I can hear the church loud and clear as if it was in my bedroom. When I asked him if that was a good thing, let’s just say he was not impressed. Things like paying your bills, paying tax, getting or renewing your licenses, getting a new telecom service that will require a few installations, dealing with immigration and so on can be a tiresome task most of the time. There are going to be queues, paperwork, wait times, and other annoying inconveniences. Plan well for tasks like this – as in cancel all other plans for the day. Things will sometimes go to plan but be prepared for the worst, take a book and some patience, and you’ll leave without tearing out too much of your hair in frustration.